The driver of the van – a man aged in his 50s – was uninjured. 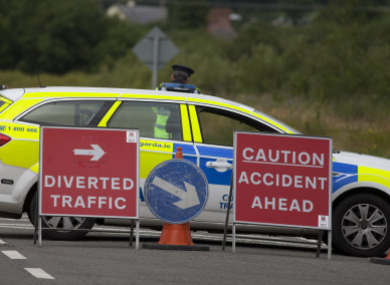 GARDAÍ ARE APPEALING for witnesses after a man in his 40s was killed in a road traffic incident in Kerry. The man was fatally injured when he was struck by a van on a minor road near the village of Causeway at about 8.15 pm last night. Gardaí and emergency services attended the scene. The dead man was removed to the mortuary at University Hospital Kerry where a post-mortem is due to be carried out. A report has been sent to the local coroner and the scene is preserved for examination by garda forensic collision investigators. Anyone with information is asked to contact Listowel Garda Station 068-50820 or the Garda Confidential Line 1800 666 111. Email “Man (40s) dies after being struck by van in Kerry”. Feedback on “Man (40s) dies after being struck by van in Kerry”.